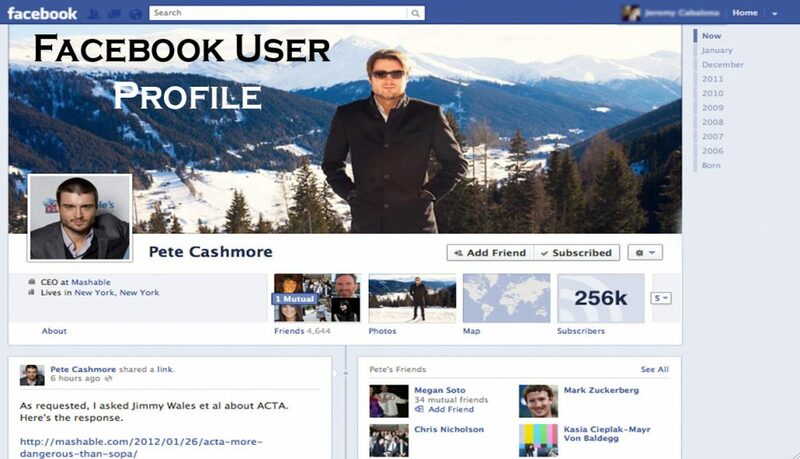 Can you set up your Facebook user profile on Facebook? If you can’t then you really need this article. This article would show you how to set up your Facebook user profile. Before you can set up a profile on Facebook, you need to own a Facebook account. This is mainly because you cannot set up an account you do not have. There are plenty of things you can set up on your Facebook user profile. On your Facebook user profile, you can set things like your profile photo, your cover photo, your featured image photos, your website, your album, your biography, your relationship status, review your friends and your archive. Open the Facebook website at ww.facebook.com using your favorite web browser. You could alternatively use any of the mobile Facebook applications. On the new page that would be displayed, hit the sign up link at the bottom of the page. Fill the form that would now be displayed with all the information required. Hit the sign up link at the bottom of the page again. Verify your identity by providing your mobile number and password. After verification, follow the sign up steps for Facebook to completely finish your account set up. After setting up your account, you can access your user profile from any of the Facebook apps you use or even the web browser. Open your web browser and head to www.facebook.com. Log in if you haven’t done so already. After logging in, click the tab that has your avatar on the top navigation. The page you would be redirected to is your Facebook user profile page where you can make any customization settings to your Facebook account. Open the mobile web browser on your device and proceed to www.facebook.com. Kindly log in to Facebook if you haven’t. After logging in, click the link that says “Profile” from the top navigation. You would be redirected to your Facebook user profile page on your mobile device. Open the Facebook app you want to use and log in. After logging in, click the avatar that has your profile image on it. Wait to be redirected and you would e redirected to your Facebook user profile page.